NASA’s New Horizons Spacecraft has only just reached Pluto, but it has already solved a decades-long debated question about the dwarf planet: How big is Pluto? Mission scientists have found Pluto to be 1,473 miles (2,370 kilometers) in diameter, somewhat larger than many prior estimates. Images acquired with the Long Range Reconnaissance Imager (LORRI) were used to make this determination. This result confirms what was already suspected: Pluto is larger than all other known solar system objects beyond the orbit of Neptune. “The size of Pluto has been debated since its discovery in 1930. We are excited to finally lay this question to rest,” said mission scientist Bill McKinnon, Washington University, St. Louis. Pluto’s newly estimated size means that its density is slightly lower than previously thought, and the fraction of ice in its interior is slightly higher. Also, the lowest layer of Pluto’s atmosphere, called the troposphere, is shallower than previously believed. 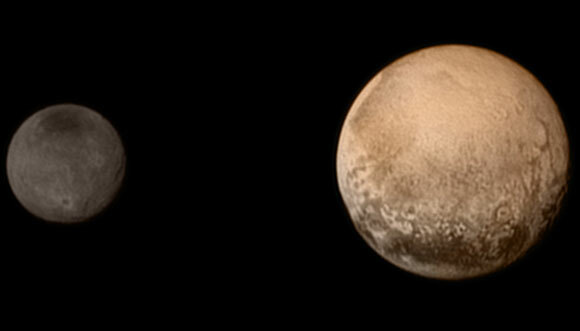 LORRI has also zoomed in on two of Pluto’s smaller moons, Nix and Hydra. Nix and Hydra were discovered using the Hubble Space Telescope in 2005. Even to Hubble, they appeared as points of light, and that’s how they looked to New Horizons until the final week of its approach to Pluto. Now, the latest LORRI images show the two diminutive satellites not as pinpoints, but as moons seen well enough to measure their sizes. 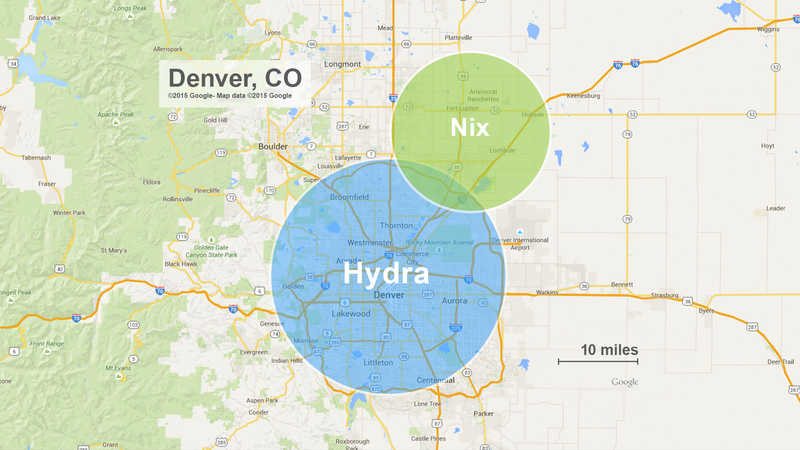 Nix is estimated to be about 20 miles (about 35 kilometers) across, while Hydra is roughly 30 miles (roughly 45 kilometers) across. These sizes lead mission scientists to conclude that their surfaces are quite bright, possibly due to the presence of ice. 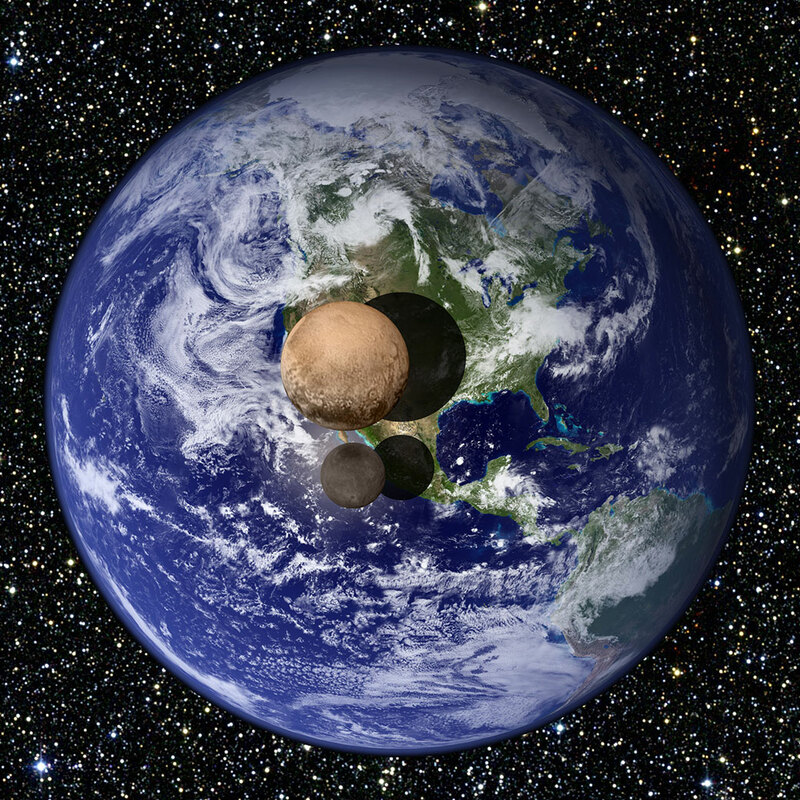 What about Pluto’s two smallest moons, Kerberos and Styx? Smaller and fainter than Nix and Hydra, they are harder to measure. Mission scientists should be able to determine their sizes with observations New Horizons will make during the flyby and will transmit to Earth at a later date. Be the first to comment on "New Horizons Measures Size of Pluto, Settles Decades-Long Debate"